I didn't actually serve this for my dinner party, but I think it would have gone nicely as a cocktail to have before the meal. 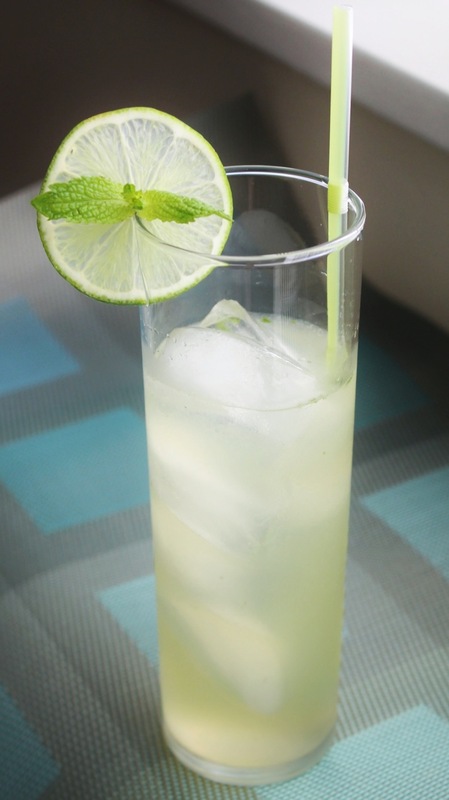 For a simpler drink, you could just combine mint, gin and lemonade, but I added the other ingredients to augment certain flavors: lime for sour (limes are more sour than lemons), celery shrub for something bitter and yellow chartreuse to give the drink some additional herbal sweetness. 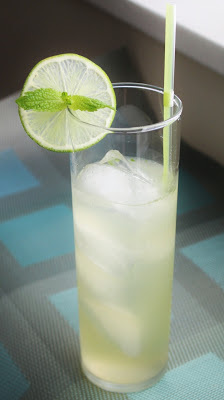 Muddle mint leaves in lime juice and simple syrup in the cup of a Boston shaker. Fill shaker with ice and add gin, yellow chartreuse, lemonade and celery shrub. Shake until cold. Strain into collins glass with ice. Garnish with lime wheel and mint sprig. I like how you named this drink. Who says there's no truth in advertising?